CCIYUfocus on auto parts products for our customers to improve the quality of good and practical products is our goal! -If you have any questions, please contact CCIYUfor more details. 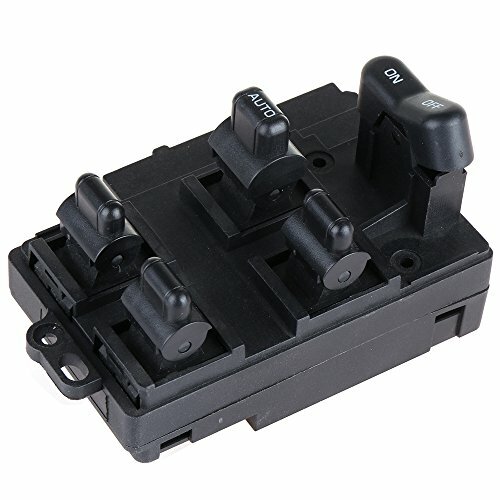 FITMENT:For 1994 1995 1996 1997 Honda Accord Power Window Switch. POSITION:This power window switch is sometimes referred to as front left driver side power window switch. It includes controls for all five power windows including the window lock and also the door lock switch. EASY INSTALLATION:This power window switch quick and simple installation OEM fit and finish.only takes a matter of minutes and does not require any special tools. TRUSTWORTHY:CCIYU Power Window Switch undergo a rigorous life test, running evenly normal. View More In Power Window Kit.